Sgt. 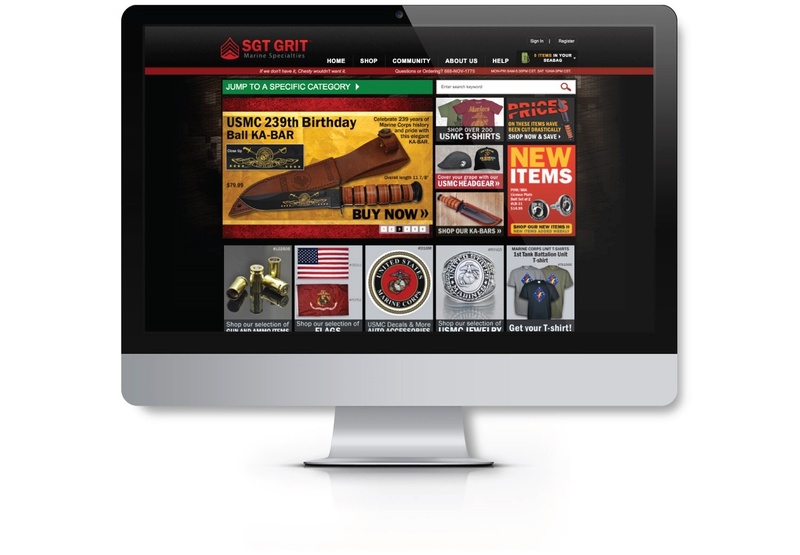 Grit is a successful online retailer specializing in clothing and novelties for Marines. After a failed partnership with another development agency, Sgt. Grit came to EYEMAGINE with a completely broken Magento implementation. What happened? The core of Sgt. Grit's Magento platform source code had been improperly altered, resulting in a non-functional eCommerce store. Many of the key features of the site were broken, it was constantly crashing, and it was converting very poorly. Furthermore, they couldn’t upgrade to the latest version of Magento due to the unstable state of their current Magento platform. In order to fix these problems, they needed a complete upgrade and reintegration that would streamline their eCommerce website and create a site that supported their needs and growing online presence. To fully diagnose and solve the immediate problems, EYEMAGINE’s eCommerce team conducted a full site audit. The team then worked to completely rewrite the core code, fix the bugs, and enable the site to handle seamless upgrades to the latest version of Magento Enterprise Edition. These changes helped guarantee the long-term success of the website, ensuring that it could stay technologically up-to-date and be consistently high-functioning. Sgt Grit hired EYEMAGINE to work on an existing Magento website that was very problematic. We were in desperate need to get it fixed quickly due to customer complaints. EYEMAGINE, with a staff of knowledgeable and dedicated programmers, put immediate time and effort in improving our issues and providing a site that was functional for our customers. Due to their performance and the ease of working with them, we continued to use them to implement new functionality to create an even better experience. They are well organized and pride themselves on doing the work based on Magento best practice. They rescued us out of a bad situation quickly and, in time, provided a site with almost no issues. I would recommend them to anyone! Any website should be a tool for an eCommerce retailer, not a hindrance, and each of these changes worked to do just that for Sgt. Grit. Specifically, each one worked to improve the user experience (UX) on the Sgt. 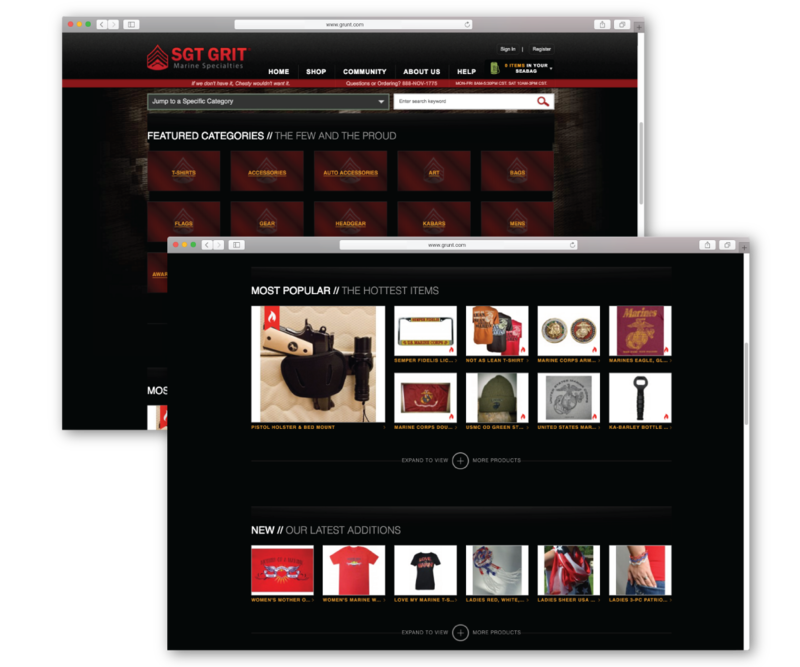 Grit website, removing friction on the site, streamlining the customer experience, and improving the site’s overall performance, conversion rate, and revenue. The results? After their marketplace was successfully upgraded to the latest version of Magento Enterprise Edition, EYEMAGINE was able to migrate over 45,000 products to the new platform. This migration, along with the new application support, resulted in increased traffic and orders for Sgt. Grit.